"Don’t fix something unless it's broken" could barely have been a more appropriate adage for 1. FC Köln this weekend. Sticking with the same starting XI that drew with FC Bayern München on Matchday 6, the Billy Goats went second after easing past FC Ingolstadt 04 2-1. It was clear from the start that Ingolstadt planned to sit deep. Anthony Modeste nearly emulated his acrobatic goal against Bayern, but it ended up being one of a number of chances Köln saw drift wide. It was Ingolstadt who nearly drew first blood, though, with Almog Cohen clattering an effort off the crossbar. However, Modeste settled home nerves inside the half-hour, lashing the ball past visiting goalkeeper Orjan Nyland. Yuya Osako, a constant thorn in Ingolstadt's side, was then brought down by Tobias Levels in the box, with Modeste stepping up to convert his seventh goal of the season, becoming this season's top scorer in the process. Ingolstadt were better in the second half but despite continual attempts couldn't break Köln's defence. Both sides made a number of attacking changes, with Ingolstadt introducing Dario Lezcano and Köln Leonardo Bittencourt and Artjoms Rudnevs with the hopes of inspiring some second half goals, but neither side could find the back of the net despite the end-to-end play. Köln were left sweating in the final moments of the game when the visitors were given a penalty of their own after a Matthias Lehmann push on Lezcano. Lukas Hinteseer converted, but it ended 2-1, with Die Schanzer dropping to the foot of the table. 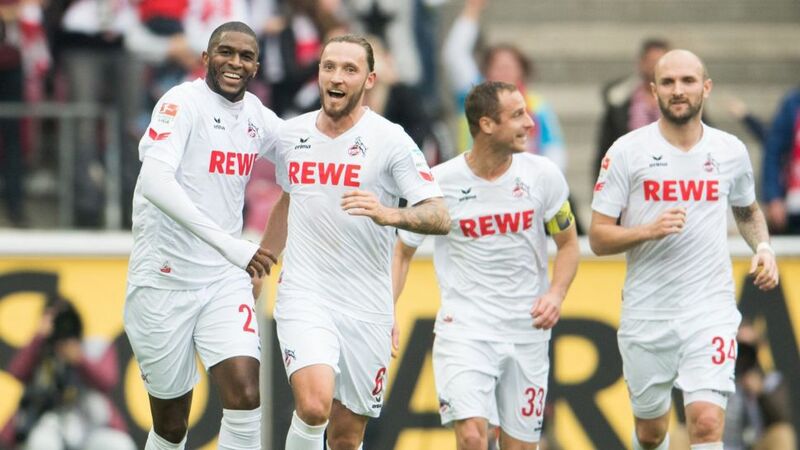 Modeste scored his fifth Bundesliga brace, and third for Köln.Hinteseer has converted all three of his Bundesliga penalties.Köln have gone seven games without defeat for the first time since the 1987/88 season.